Meanwhile, brush red pepper and corn on all sides with olive oil and place on baking sheet. Bake 30 minutes, turning vegetables every few minutes for even roast. Add tomatoes for last 10 minutes. Remove veggies from oven to cutting board and let cool for a few minutes then chop into small pieces. 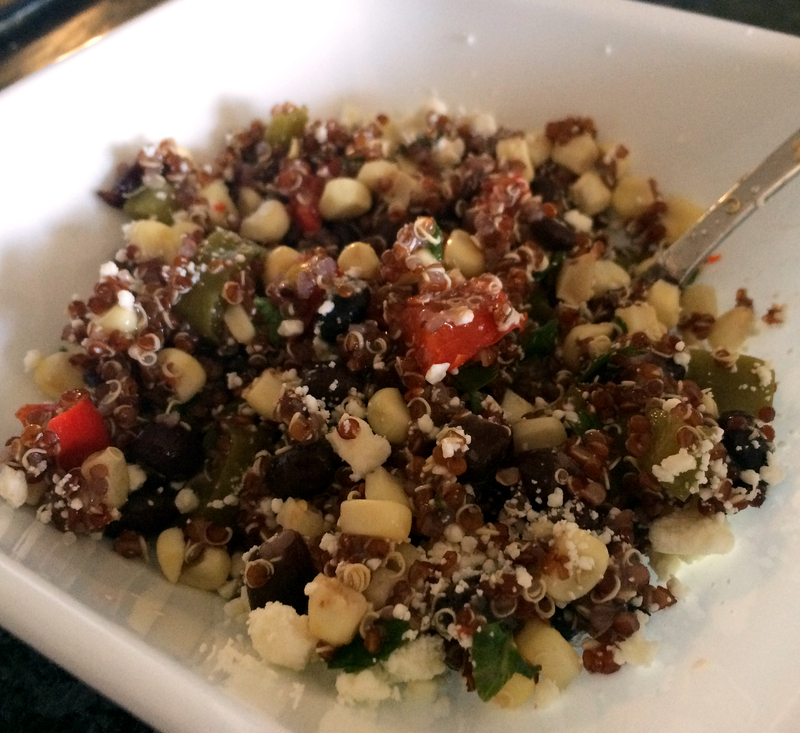 In a large bowl or tupperware combine: quinoa, black beans, red pepper, corn, tomatoes, red onion, and cilantro. Mix well. In a small dish combine olive oil, vinegar and spices to taste. Whip together with a whisk or fork then drizzle over salad. Toss to coat. Stir in feta crumbles if desired. Serve warm or refrigerate for later.